Butterscotch Pudding Mix is a delicious and easy way to make pudding from scratch. Keep this mix on hand and you can have dessert ready in a couple of minutes. Did you know that you can eat pudding warm? 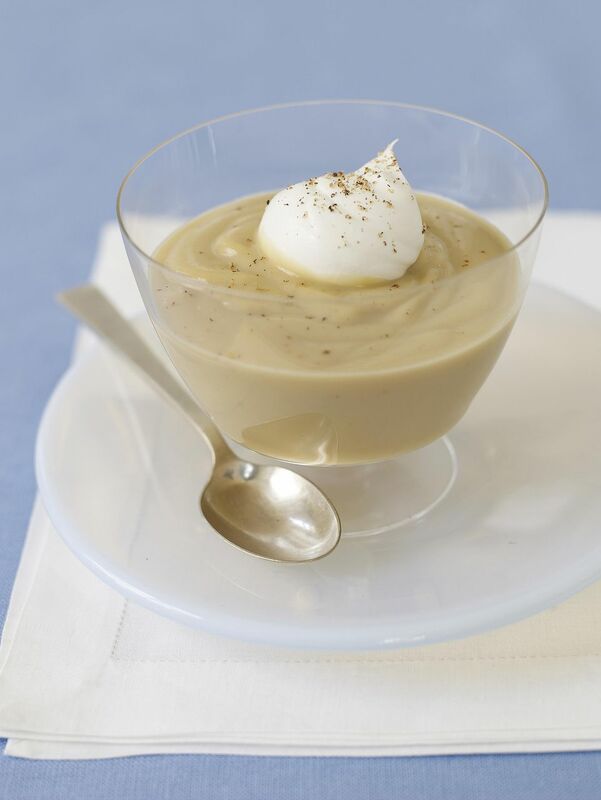 In the winter, there's something so soothing about eating a warm, velvety smooth and creamy dessert. This recipe uses vanilla powder instead of vanilla extract so you can store the mix dry. You can find vanilla powder at specialty baking stores or online. It is slightly more intense than vanilla extract and lasts for a long time. Like all homemade mixes, store in a cool dry place. Combine the brown sugar, granulated sugar, nonfat dry milk powder, cornstarch, salt, and vanilla powder in a medium bowl and mix well with a wire whisk until combined. You want to make sure that all of the lumps are out of the mix. Then store it in a container with a tight-fitting lid; mark with the recipe name, the date you made it, and instructions for using. Makes 3 cups mix, yielding 24 servings of prepared pudding. Stir the mix well before using. For two servings, combine 1/4 cup Butterscotch Pudding Mix, 2 tablespoons butter, and 1 cup milk in a small saucepan. Heat over low heat, stirring constantly with a wire whisk, until the mixture boils. Boil gently, stirring constantly, for one minute. Pour into serving dishes and chill until thickened.